1. 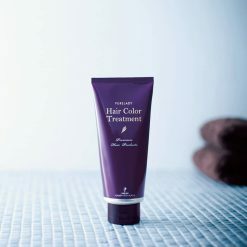 Before shampooing and while your hair is still dry, dispense an optimal quantity (see below for quantity guidelines) of the hair color treatment and apply it throughout your hair, starting with the areas where you want the new color to be strongest. Once applied, let it sit in your hair for about 5 to 10 minutes. When using this item for the first time, we recommend letting it sit in your hair for more than 15 minutes. Note: If you use a lot of styling product in your hair, shampoo your hair before applying the hair color treatment. 2. Thoroughly shampoo your hair, being sure to get all the way down to the roots and out to your hairline. 3. Rinse your hair using hot water until the color ceases to run out. 4. Use a towel to remove most of the water from your hair, then dry it fully with a hairdryer. The quantity of hair color treatment to use can be estimated using a ping pong ball for reference. For short hair, dispense about 1 ping pong ball of treatment. For semi-long hair, dispense about 2 ping pong balls of treatment. For long hair, dispense about 3 ping pong balls of treatment. (A ping pong ball is 4cm in diameter.) 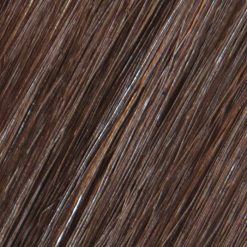 Adjust the quantity of hair color treatment you use until you find the optimal quantity for your hair length. Note: Especially when using this item for the first time, it may take more than one application to create your desired color.